Why do most of the salespeople aim to connect with C-level executives over other mid-ranked executives? And the reason is quite simple: C-level executives are responsible for strategic planning, employee empowerment as well as the ongoing motivation of the employees. They have the ultimate power with any decision-making process. The traditional four such officers are chief executive officer (CEO), chief operations officer (COO), chief technology officer (CTO) and chief financial officer (CFO). That’s why directly dealing with C-level executives is a great idea to save your time and efforts. But connecting with these C-level executives is no walk in the park. You need to build stellar connections and have the right strategy in place. But fret not, in this article, we have rounded up some tested ways that will help you connect with C-level executives. If you think that traditional networking is dead, then think again! 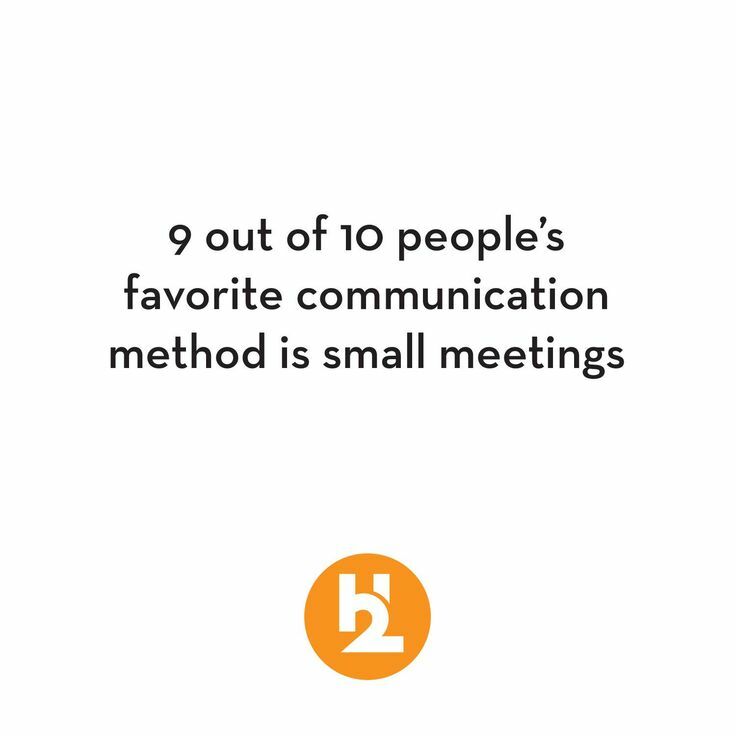 In fact, according to one survey, around 9 in 10 people say small meetings are their favorite communication method. One reason being, you can actually get a lot more work down by visiting some of the most prominent networking events as compared to sending out cold emails from behind your computer screen. Also, I would like to have you know that in this current where social media and online networking is so ubiquitous, one-to-one networking is even becoming more relevant. Because it is a lot less congested and is only leveraged by people who are serious about the deal you are presenting. You would say that I am changing goalposts again and again. But I never said anything about not networking online — it’s just a lot more competitive than traditional networking events. Networking through LinkedIn is a great way to get noticed by a C-level executive. If this doesn’t get you in the good books of the C-level executives you are targeting, then you can also use LinkedIn to extract their direct email addresses and get down to cold-emailing. Some of the C-level executives have added their email addresses in their profiles. And the best part is that you can view their contact info without even being a part of their network. Click on it and you will have access to plenty of information. If you are lucky enough, you might just find their email address through this method. However, even if you fail to extract their email address using this simple method, I would suggest you read more about it here: How to Find Email Address of anyone from LinkedIn [Updated in 2019]. While all your business rivals are endeavoring to strike business deals by sending bulk marketing messages, be different and engage with your prospective business customers through targeted marketing with C-Suite decision makers. That’s why sometimes a regular manual approach might not work. If you want to stay ahead of your competition, you have to turn to more advanced methods and software tools. Google is your end solution for just about everything — literally everything. What makes you think that you can’t find C-level executives’ email addresses using the platform? And if you conflate Google with Automated software tools, it can do wonders for you. But before that, you can also try your hand at guesswork. Making your best guess to find anyone’s email address using Google is not anything new. People have been doing it for years. But we are going to do it a bit differently, with a more specific, narrowed-down approach. [Prospect’s name] + contact number (or) other contact details. Site:companywebsite.com + [name] + other contact info. However, if all these patterns fail, we have a more granular approach for you to try out. If nothing works out, try the mix-and-match methods and then see the results. If this works out, good for you. Now, while all this guesswork is somewhat useful, it’s still not a very dependable method. And most C-level executives won’t share their personal email address on any such easily accessible platform. 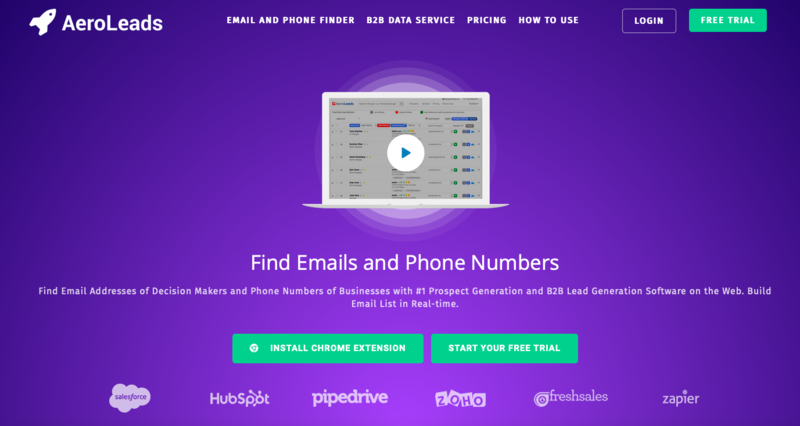 So, you have to actually step one mile ahead and try to extract their email address by using some prominent lead generation and email finding tools. Once you integrate these tools with Google, you will be able to extract the email addresses of the C-level executives of your choice with substantial ease. AeroLeads is, without a doubt, one of the most popular email finding and lead generation software tools on the internet today. But don’t let us dictate you, you can read through the reviews online to see what I am talking about. 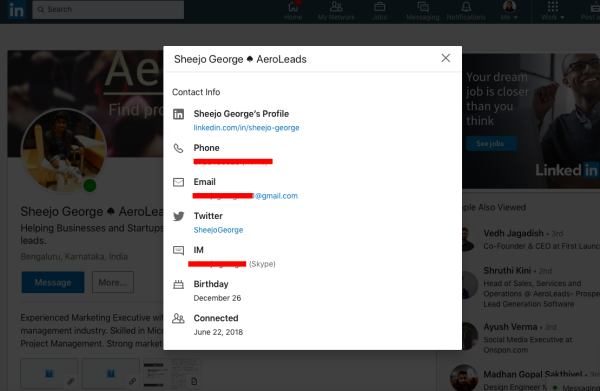 With AeroLeads, you can search your prospects’ contact information in bulk from platforms like Google, LinkedIn, Crunchbase, AngelList and more. This lead generation software tool also offers a free email verifier which helps you diminish your email bounce rate. Integrates with multiple CRM software tools like Zapier, Salesforce, and so forth. 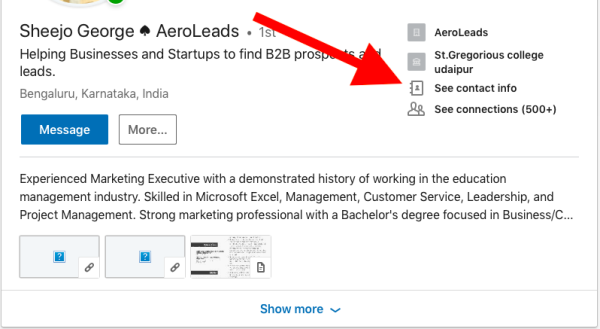 Apart from this, one of the other things that make AeroLeads a favorite among marketers is its tendency to find all the details in real-time. This negates things like redundancy and irrelevancy of data. Executives who hold C-level positions are typically considered the most powerful as well as influential members of an organization. Consequently, these executives set the company’s strategy, make higher-stakes decisions and ensure the day-to-day operations align with fulfilling the company’s strategic goals. Hence, make sure to contact the right C-level executive and grow your relationship with them. The article is beautifully written. It has all the valid points and is very impressive. We at Narwhal Data Partners provide you a wide range of Chief Information Officer Email List that you are looking for, guaranteeing you the data accuracy.We help you to plan for the future business campaigns by offering you a segmented and targeted Chief Information Officer Email List which mentions about the customer taste so you can approach them with the product they want.